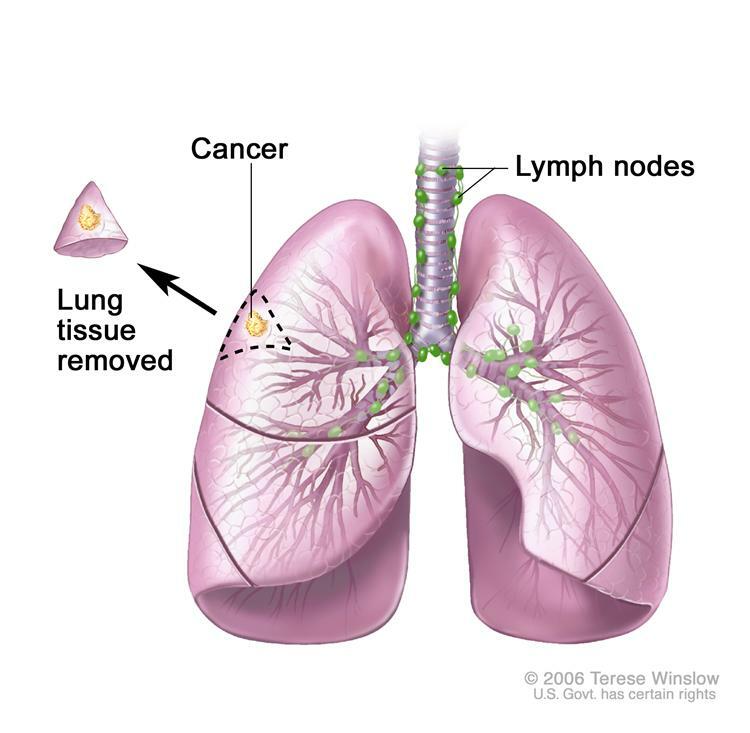 Lung cancer is characterized by the uncontrolled growth of abnormal cells in one or both of the lungs. The majority of lung cancers begin in the bronchial tubes that conduct air in and out of the lungs. Cancers of the lung are classified by how they appear under a microscope. While there are more than a dozen different kinds of lung cancer, the two main types of lung cancer are non small cell and small cell, which together account for over 90% of all lung cancers. Not long ago patients with lung cancer had limited options available to them for diagnosis and treatment. Over the past 10 years many new diagnostic modalities and treatment options have been developed and put into practice. This has resulted in more accurate staging and an enhanced ability to tailor a treatment plan to the individual patient. 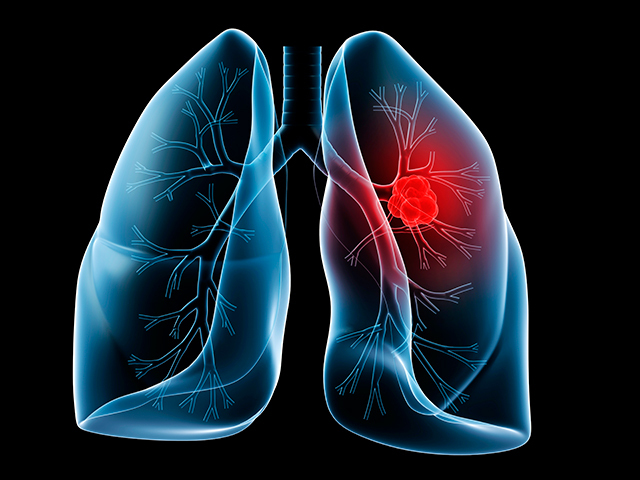 Surgery remains the mainstay of treatment for early stage lung cancer. Surgical advances in technique have greatly diminished hospitalization and recuperative times. It is imperative that your surgeon be well versed in all available surgical techniques so as to provide you with the best treatment plan for you. Our board certified surgeons utilize a minimally invasive procedure called VATS or Video Assisted Thoracoscopic Surgery to remove cancers from the lung. This involves the use of small incisions, a telescopic camera and specially designed instruments to perform the surgery. It has been proven to have the same survival benefit as traditional open techniques but offers less pain and a quicker recovery. 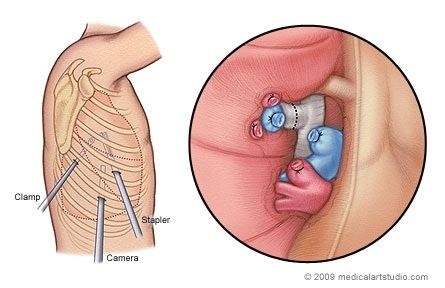 We utilize this technique to perform anatomic resections of cancers of the lung as well as to remove the lymph nodes that drain the area of the cancer. It has been well documented that there are populations of individuals who are at an increased risk for the development of lung cancer. By far the greatest risk lies with those individuals who smoke cigarettes. The longer one has been smoking and the more packs they smoked each day, the greater their risk of developing lung cancer. We have instituted a screening program based on recent results of a large study looking at the utility of low dose CT scanning in smokers to detect early lung cancers. If you are over the age of 55 and have smoked the equivalent of 1 pack per day for 30 years you are eligible to participate. If you are a smoker younger than 55 or a non smoker with exposure to second hand smoke, asbestos, radon there may also be benefit to obtaining a CT scan of your chest and you should speak to your physician about any testing which may be appropriate for you. A CT (Computed Tomography) scan provides a detailed cross-sectional picture of the body. A low dose CT scan has about 1/10th of the radiation dosage of a standard dose CT scan. You should speak to your doctor about any concerns you may have about the radiation dosage and the risk versus benefit of such a study as it relates to your particular case.